P18550LF is rated 3.0 out of 5 by 6. 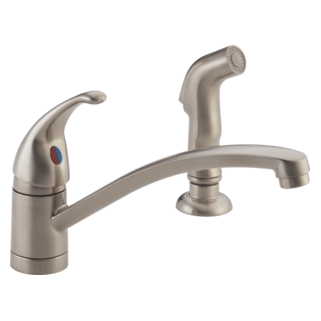 Rated 3 out of 5 by Debbi from After 8 months pressure in faucet head is gone We have always been Peerless fans but this time we have an issue. 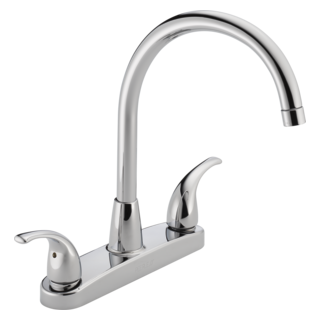 We installed this new faucet in October 2016 but in the past month we noticed the pressure in the faucet was not working. After taking everything apart under the sink we have found it is the faucet head causing the issue. We are on a well so we think maybe some sediment has accumulated in the head and it is somehow blocking the water pressure. We tested the faucet line by taking off the head and the pressure is great! 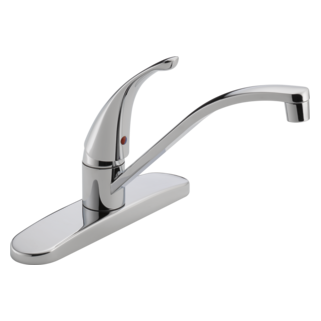 Since the faucet head is a one piece part and cannot be taken apart to clean it we will have to order a new faucet head. 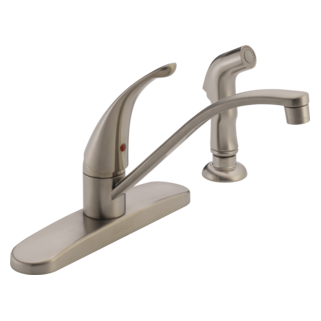 8 months for a faucet at a price well over $100 is unacceptable. 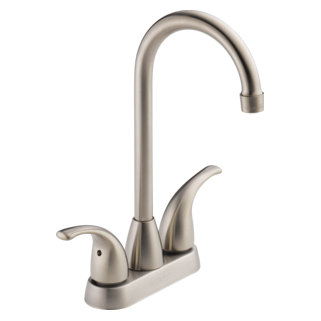 Rated 5 out of 5 by niknodder from Love my faucet I have had my faucet for over 8 years, it is on it's second sink!! I had to replace the soap dispenser once and the pull out hose twice. The first time the hose plugged, the second time, just recently, the hose started leaking. I am actually waiting for the hose as I write this. I have nothing but praise for Peerless, they honour their warranty and I have parts shipped at no cost to me! 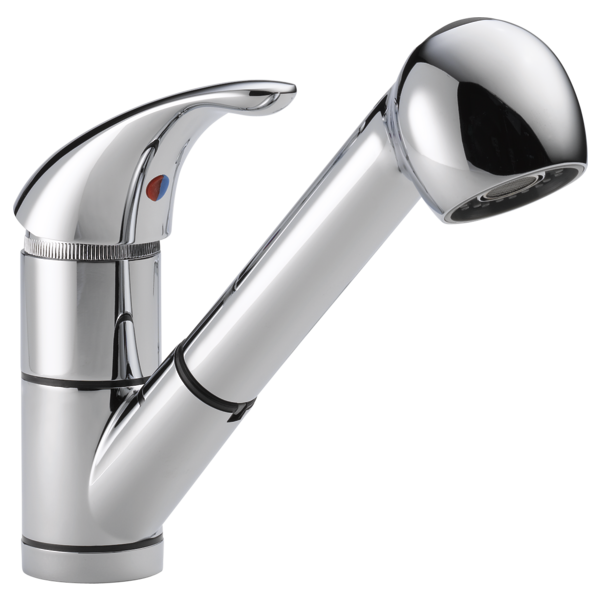 With two teenage boys growing up this tap is put through it's paces. I wrote all the info off the box when I bought it and I have it ready when I call. The process is easy, the staff on the phone are polite and professional. I will buy Peerless again!! Rated 2 out of 5 by daustin97222 from Two parts broke and you can't get them Ours worked great, but the two internal plastic parts broke and these are not listed parts. So for a $2 part I have to toss the whole unit. The parts that broke are the bezel backing and the mate for it that goes inside of the swivel. Snapped right off at the base. One part looks to be ABS plastic and the other is a nylon. I hate to ding Peerless/Delta in a review but it is really a shame. We live in a throw-away society. I would rather fix it. 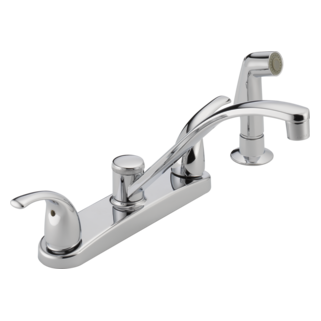 I will keep the faucet to see if BY LUCK I can find a used one that has the parts I need. Rated 1 out of 5 by SRE from Dissapointed I have had this product 10 months. It is already rusting and when the water is on it drips out the sprayer. 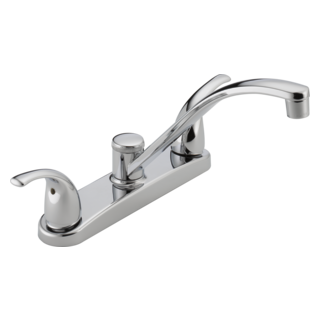 Rated 5 out of 5 by bkw0017 from so far, excellent product Purchased on sale yesterday for under $100.00. Installed today and so far no problems at all. Installation was fairly easy and instructions easy to follow. Rated 2 out of 5 by Bob from No hot water.... 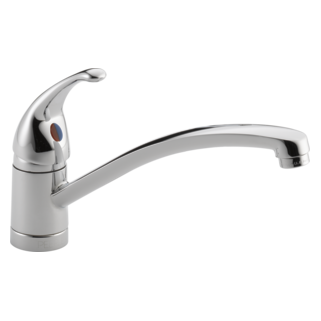 I installed this faucet yesterday and it does not have a large enough flow rate to turn on my on demand hot water system. I think the water saving features are the issue. Is there anyway I can increase the flow so it will start my on demand system? I've taken the filters out of the head and it still doesn't help and only causes a big mess when you turn the faucet on. Thanks. How do I tell which is cold or hot water hook up on tap?? the long one or short one is what? My faucet is turning so its not straight. How do I fix this? the faucet is turning and has to be pushed back into place. How do I fix this? 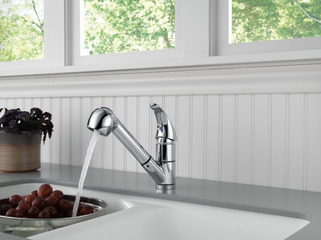 Is there an extension kit for this faucet. We bought but our concrete counter is too thick. I am looking for Ivory in color,is it avail? Thank you for your question. 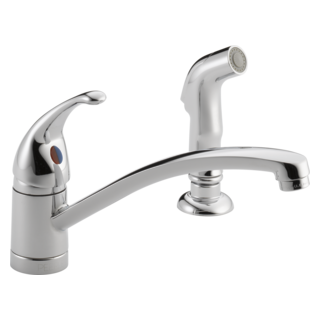 Peerless Faucet model # P18550LF is only available in Chrome and Stainless Steel finishes. 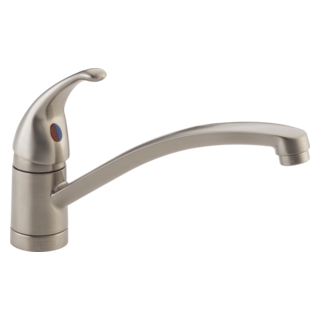 We do not manufacture any faucets in an Ivory finish. 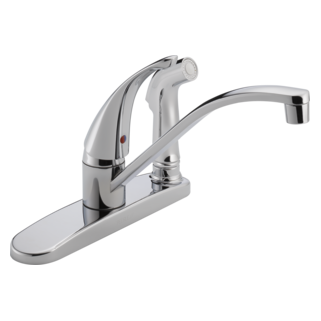 My faucet has no pressure and I don't know how to remove the trap to clean it out. Thank you for your question. If your P18550LF is clogged, it could be mineral deposits from hard water. We recommend that you soak the whole wand in a 50/50 solution of white vinegar and cold water overnight to loosen the deposits.